HP PageWide technology is transforming the way we print. Powerful and efficient in both monochrome and color, PageWide technology breaks through the old performance barriers to deliver even higher levels of value and versatility. 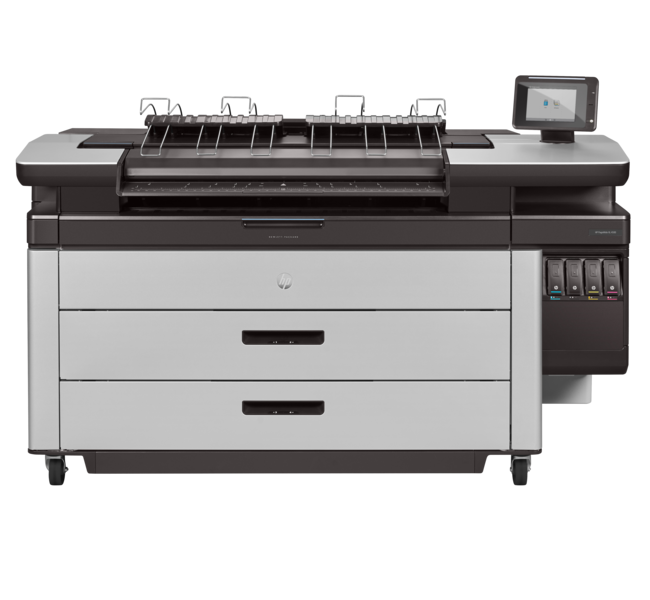 With radically faster print speeds, you can now produce monochrome and color sets on a single HP PageWide XL Printer. BHFX Sales is proud to be one of HP’s carefully selected providers of this new revolutionary technology. The Fastest Large-Format Printer…EVER! Print up to 30 D/A1 pages per minute in color and monochrome. Yes…you heard that right…30 pages per minute…in color! Even more impressive, is you can now print at these speeds at a comparable, and in a lot of cases, a lower cost of operation than their antiquated B&W only, LED counterparts. With up to 6-Roll Paper Capacity, an Integrated Document Stacker and unrivaled ease-of-use, The HP PageWide XL 8000 has redifned how we can produce Wide-Format Technical Documents. Powerful and efficient monochrome and color printing up to 20 D/A1 pages per minute. 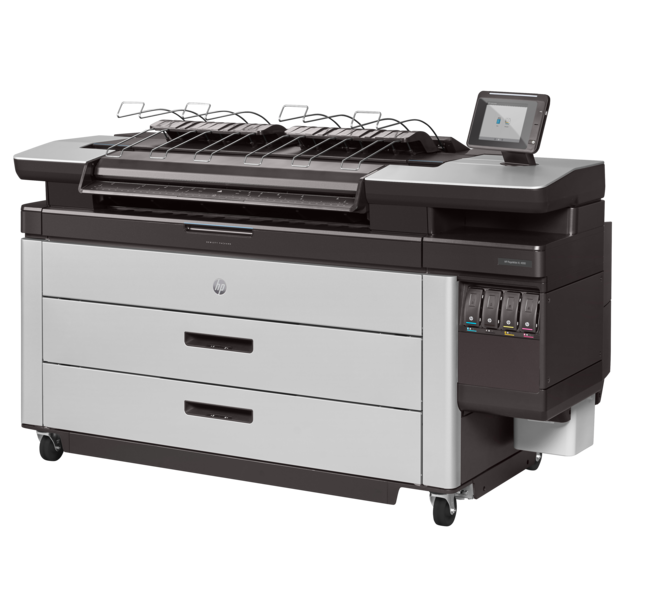 HP PageWide is the Gold Standard in speed and efficiency with Ultra-Fast Processing and a quick 30-Second First-Page-Out warm up time Up to 4-Roll Paper Capacity, a Dual Ink Set, Scanning Capabilities and multiple Integrated Stacking Options the HP PageWide XL 5100 can be customized to any need or demand. HP brings unrivaled quality with vivid colors, dark blacks, and smooth grayscales for even the most demanding of print quality needs. Do the work of two printers with one. Print, Scan & Copy with a single device in both monochrome and color. Up to 12 D/A1 pages per minute with a quick 30-Second First-Page-Out warm up time. The highly efficient HP PageWide XL 4500 provides your organization with a fast, efficient and cost effective Hybrid Printer to meet any demand. 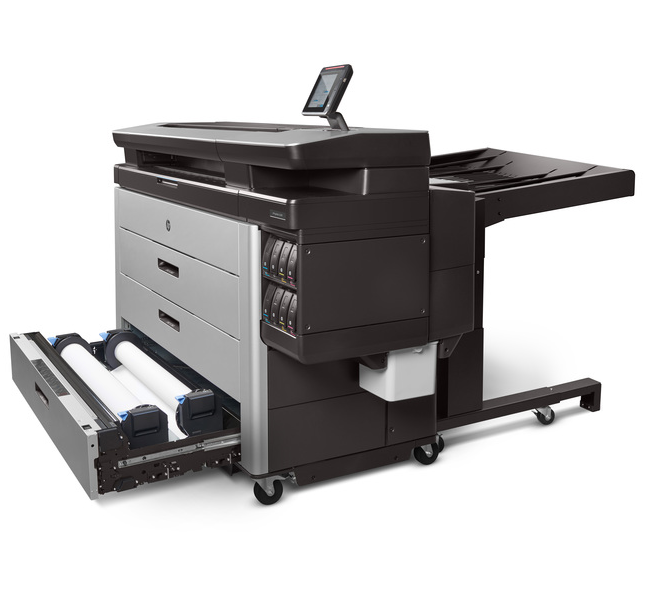 With options from additional roll capacity, scanning and Integrated Stacking Options, the HP PageWide XL 4500 can be customized to your specific needs. Move your projects forward with monochrome and color print speeds up to 8 D/A1 pages per minutes. With virtually no warm up time, the HP PageWide XL 4000 can finish printing most jobs by the time other devices are even warmed up to print the first page. 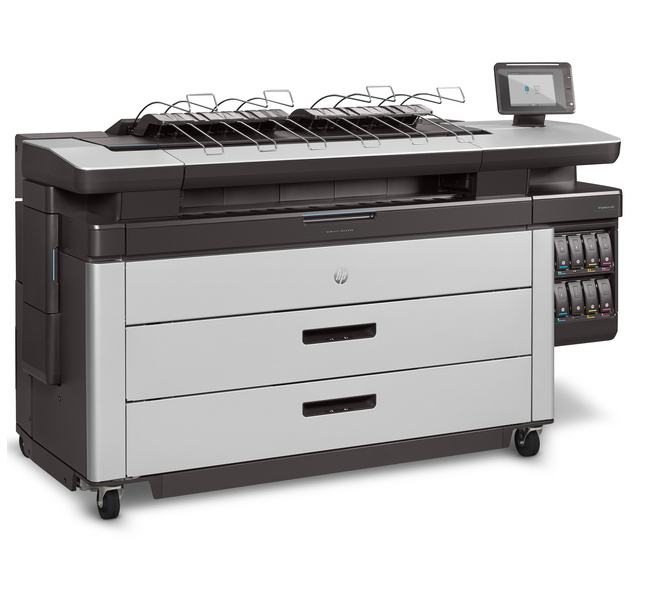 The HP PageWide XL 4000 can do the job of 2 printers, faster and at lower operating costs. You will save space and reduce complexity with a single HP PageWide XL 4000 providing a simple and efficient process for your organization now and into the future.